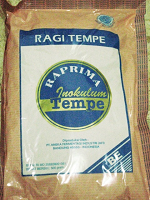 Tempeh Starter ( Contains Rhizopus Oligosporus/Rhyzopus Oryzae and Organic rice powder) 25 Gr. 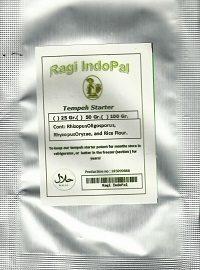 Our Tempeh Starter Kit can produce more then 28 Lbs Tempeh!, and contains enough starter for 6 batches. Our prices and shipping are the best, and produces 28 lbs Tempeh.